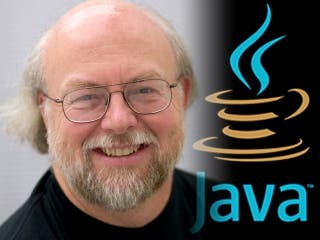 Within computer geek circles it is common to find people with stuff like … I don’t know, a Java altar with maybe a large painting of its developer-father-god-cyber-entity James Gosling. Really, there are literary millions of java enthusiasts our there, your truly included, and billions more using Java under one form or another. Today, Java’s chief architect, who designed it in the 1990s while working for Sun Systems, announced that after resigning from his decades long career at Sun, that he has accepted a position at Google. Since the relatively recent takeover of Sun by Oracle in a $5,6 billion deal, there has been increased tension within Sun employees reported. Gosling left the company last year, after the acquisition by Oracle was closed and ever since then he seemed to have been critical of the business software giant’s decisions. “As to why I left, it’s difficult to answer: Just about anything I could say that would be accurate and honest would do more harm than good,” Gosling wrote last year. Oracle sued Google in August, alleging that Android, which is widely used to run mobile devices, infringes on intellectual property related to Java. Gosling isn’t the only ‘rock star’ Google drafted recently, it seems – the company is in serious hiring mode, claiming it will increase its employees number significantly this year. Notable other recent hires are networking expert Milo Medin, and former Sun engineer Tim Bray, who joined to work on the development of Android.